The UK government is lobbying for aviation to be exempted from EU target to increase renewable energy. BBC News report today that Whitehall wants the aviation industry exempted from a general target of 20% renewable energy by 2020. 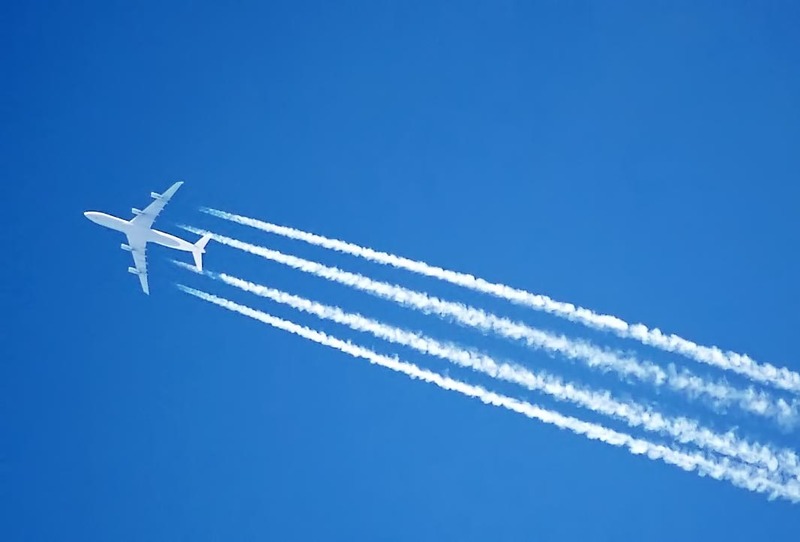 Multiple contrails in an area with high airline traffic. The government wants interim targets leading up to 2020, and targets on clean energy in new homes, to be optional. It also points out that the targets on aviation are pointless while there is uncertainty over the use of biofuels. Meanwhile green groups are furious at what they believe is part of an on-going campaign to water down renewables legislation. The UK has already signed up to an EU target to have 20% of Europe's energy from renewable sources by 2020. That target applies to fuel, as well as electricity.